The Highlands of Scotland are rich in traditional stories. Even today, in the modern world of internet and supermarkets, old legends dating as far back as the times of the Gaels, Picts and Vikings are still told at night around the fireside. 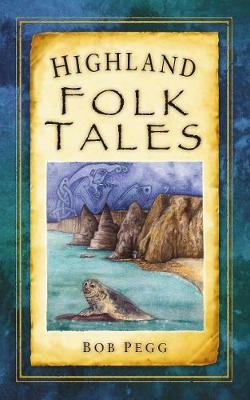 They are tales of the sidh - the fairy people - and their homes in the green hills; of great and gory battles, and of encounters with the last wolves in Britain; of solitary ghosts, and of supernatural creatures like the sinister waterhorse, the mermaid, and the Fuath , Scotland's own Bigfoot.In a vivid journey through the Highland landscape, from the towns and villages to the remotest places, by mountains, cliffs, peatland and glen, storyteller and folklorist Bob Pegg takes the reader along old and new roads to places where legend and landscape are inseparably linked.